New Haven will play the winner of the game currently being played between Chamois and Cross Roads. 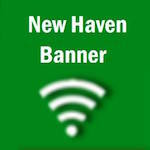 The Annual Holiday Bazaar, sponsored by the New Haven Preservation Society, is this Saturday, October 29 from 8:00 a.m. - 3:30 p.m. This event will be held at the Old New Haven School, 810 Maupin Avenue, New Haven, Mo. Many artisans will be selling items for your browsing and buying pleasure.